About a year ago I finished my MBA. I expected there would be plenty of opportunities for advancement. That has not happened. What should I do? That was a question from an analyst in a financial services company. 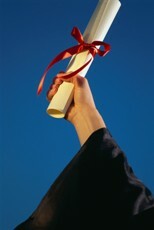 That situation has come up several times in coaching recent MBA’s and Executive MBA graduates. They thought once they got that coveted degree, their company would quickly promote and advance them. When that didn’t happen, they were disappointed, unappreciated and wondered if they should stay or leave. 1. What you can do now that you couldn’t do before your MBA. Note that I said “do” not “know.” You may know a lot more, but does that translate into concrete tasks or projects that are helping your company? For instance, you may have studied international finance and politics, but if your company’s market is primarily the Midwest United States, it’s not helpful to them. 2. Where the company is today and will be tomorrow. You may have started you MBA before or just as the recession started. You had high hopes. The company had high hopes. Now the economy and your company’s future are different. The expectations you had may not be realistic today. So reevaluate your situation, your company’s viability and potential opportunities. You may need to make a lateral move to gain more hands on experience before you are seen as promotion material. 3. How you are utilizing your MBA. Think of your MBA in terms of the skills you’ve developed or enhanced and the application of these skills in your present position as well as potential opportunities within your company. Focus on accomplishments or the impact of your work. For example, you increased sales by 15% or cut down time to 3% which then led to what? Can you give a crisp answer to: How is your MBA benefiting the company or how will it benefit it in the future? The worth of an MBA. I think MBAs are great, but without underlying experience, they aren’t worth nearly as much. The burden of proof, that you are more valuable now than you would be without the degree lies, firmly on you. It’s not that you have an MBA that counts. It’s what difference you are making with the skills and knowledge you leaned from it. MBA readers, what do you think? Do you want to develop Career Smarts? For more resources, see the Library topic Career Management. Start with the Career Success System. Sign up for Career Power: 101 success tips. Fast track your career. Be part of a Success Team. Need a speaker? Get the Edge Keynotes-webinars-workshops. Find career and leadership boosters in the Smart Moves Blog. Copyright © 2010 Marcia Zidle career and leadership coach. Marcia Zidle, a certified career strategist and business coach, works with high potential, high impact executives, managers and professionals to advance their careers and grow their leadership capabilities. Your Career Goals: Are You On Track or Side-Tracked? What Are Your Career Goals For 2013? What’s Important to an Employer? The First Six Months On the Job: What You Need to Do!